Organized jointly by the Fondation Gandur pour l’Art (FGA) and the Ecole polytechnique fédérale de Lausanne (EPFL), the exhibition Noir, c’est noir? 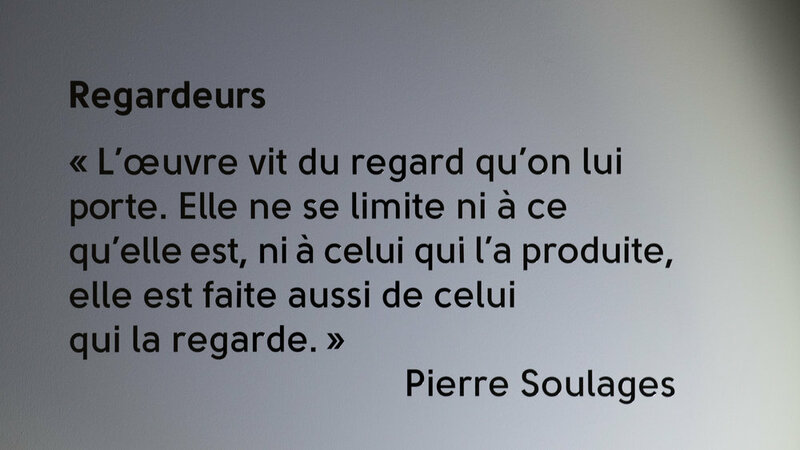 The Outrenoirs of Pierre Soulages features a strong experimental character. Interactions between light and matter are at the heart of the work of Pierre Soulages. 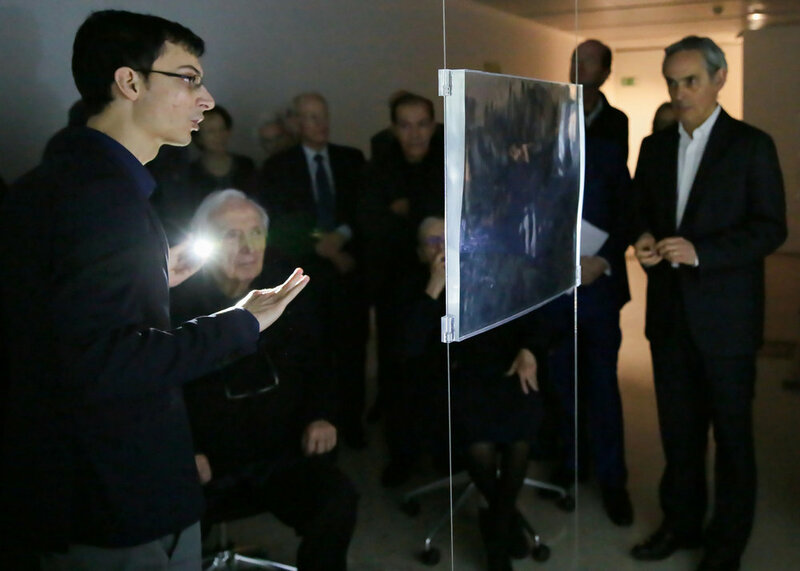 The painter shares a fascination with the behavior of light with a number of scientific researchers at EPFL. As such, coming out of the Computer Graphics and Geometry Laboratory (LGG), the startup Rayform is entirely dedicated to the application of computing technologies for controlling caustics. Caustics happen when light rays are successivly reflected or refracted by a surface and projected onto another surface – for example, the light patterns that emerge when light passes through a glass of water or a swimming pool. LGG and Rayform have succeeded in controlling these random patterns. By using a series of computer algorithms developed at EPFL, Rayform calculates and produces complex shaped surfaces that modify the light passing through them to project controlled and detailed images. As in an Outrenoir of Pierre Soulages, the heart of the work lies in the interaction between surface and light. 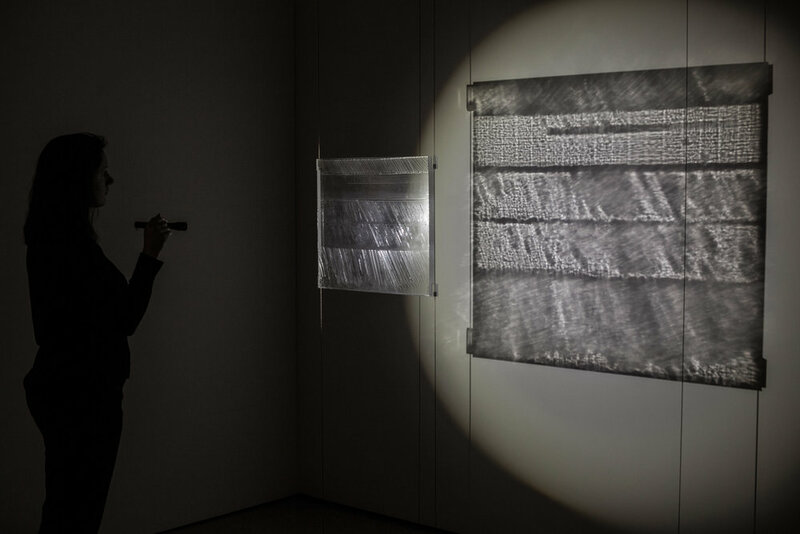 Rayform and LGG propose an installation comprised of four caustic surfaces (high-precision sculpted plexiglass plates), illustrating with varying degrees of realism and poetry the close relationship maintained between an Outrenoir and light. 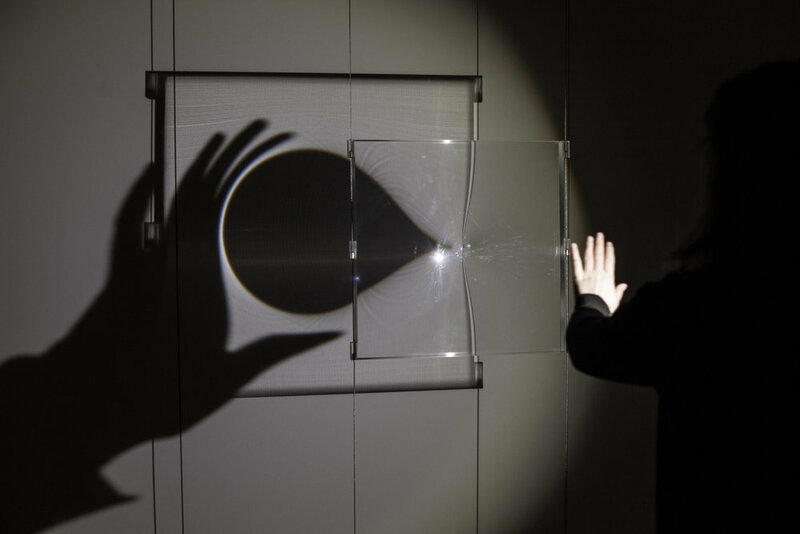 These transparent tableaux reveal their content when a visitor illuminates them using a pocket flashlight. One reproduces the structure of an Outrenoir by Soulages based on a scan performed by the startup ARTMYN. This makes it possible to show the work of Soulages as if all the pigments had been removed, thereby illustrating the importance of the interaction between matter and light. 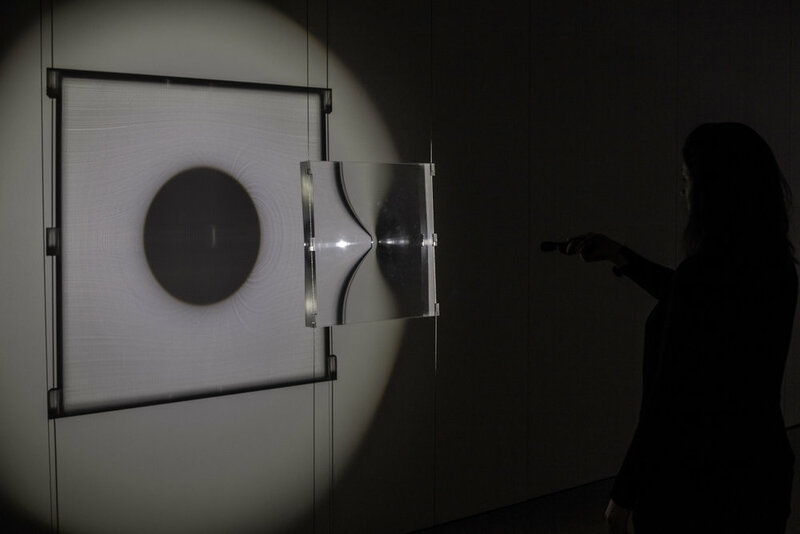 Alongside that, another tableau is a priori paradoxical: by illuminating this transparent square, a black circle is projected (by deflection of light from the area of said circle) on the wall, questioning the influence of the duality of the presence/absence of light for our perception of the world. A third piece shows a sketchof Leonardo da Vinci, the great artist and scientist who was one of the pioneers in the exploration of the relationship between light and matter. Finally, an auto-illuminated and constantly moving tableau illustrates the importance of point of view and of the observer’s own movement in the perception of a work.